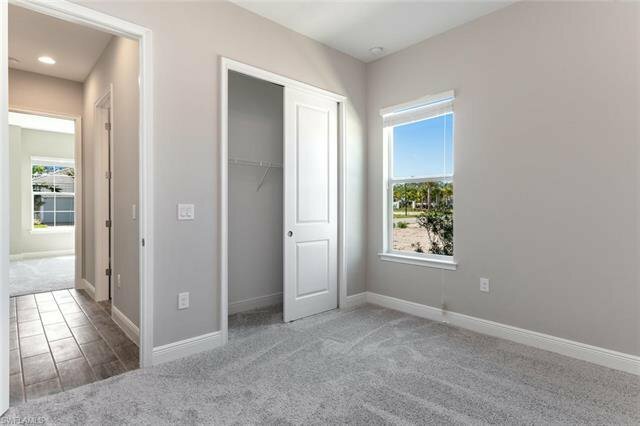 This popular Admiral West Indies floor plan gives you an inviting feeling from the moment you walk in. 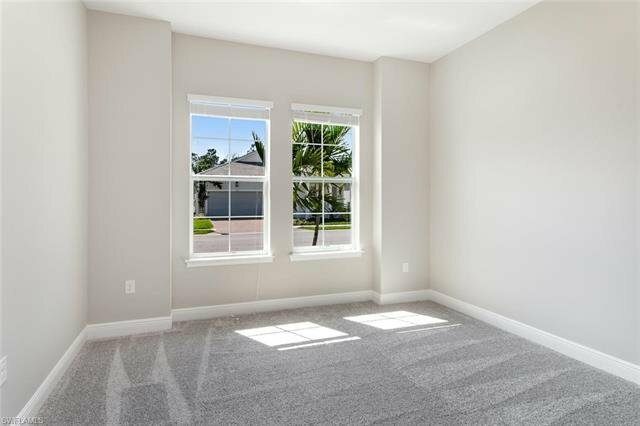 This Single story home features an open floor plan that encompasses 4 spacious bedrooms, 3 baths, and a 2 car garage. 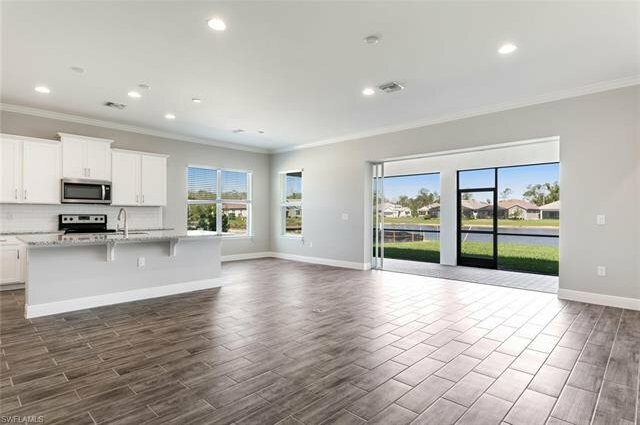 10’ ceiling draws you into the great room with a Sliding glass door Hide-away while the oversized kitchen with a center island lends itself to casual entertaining. 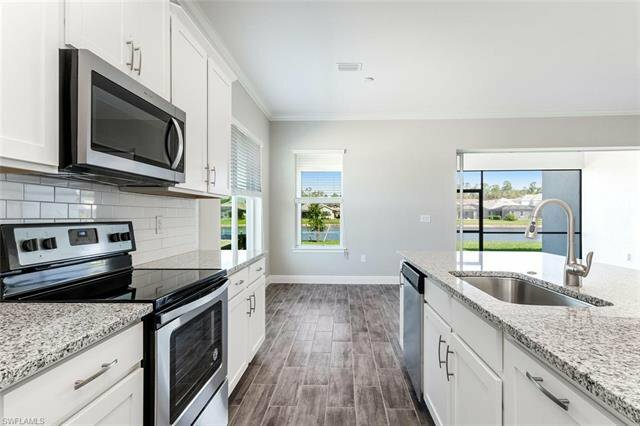 Kitchen is equipped with 42 inch cabinets, stainless steel appliances, Granite countertops and backsplash. 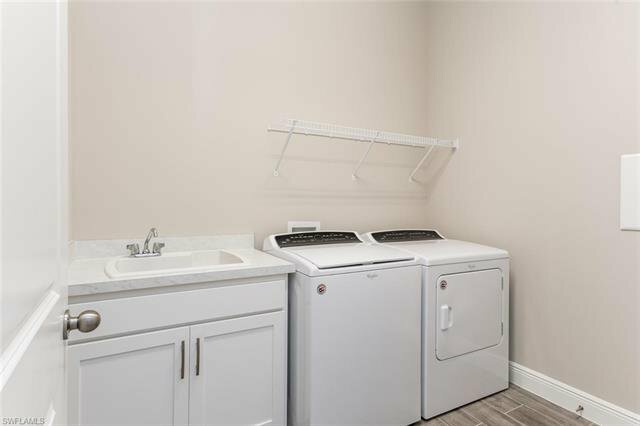 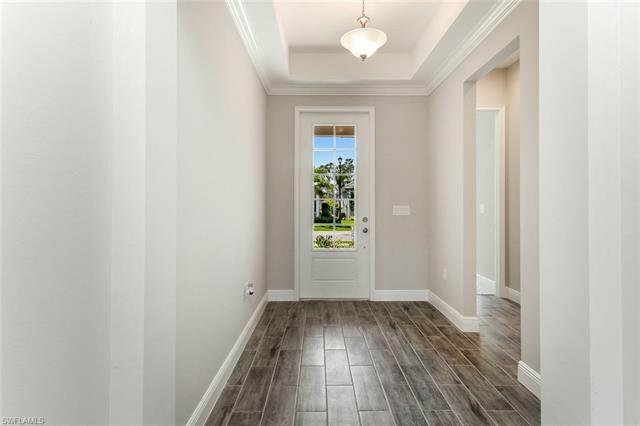 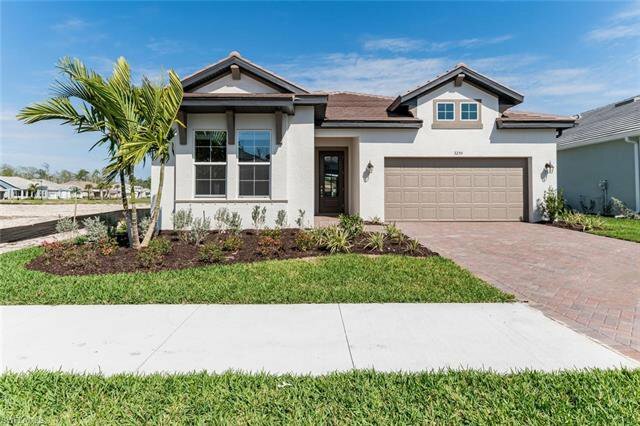 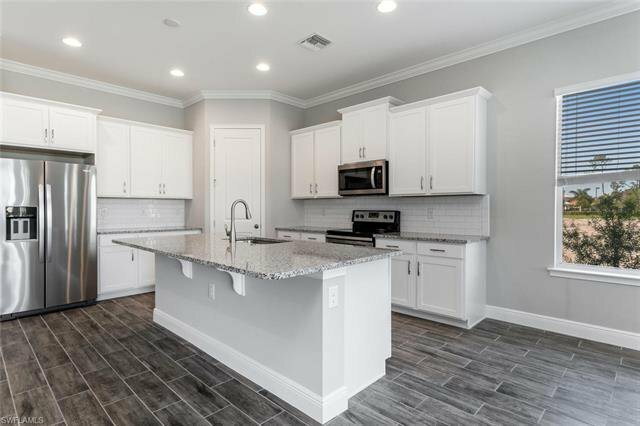 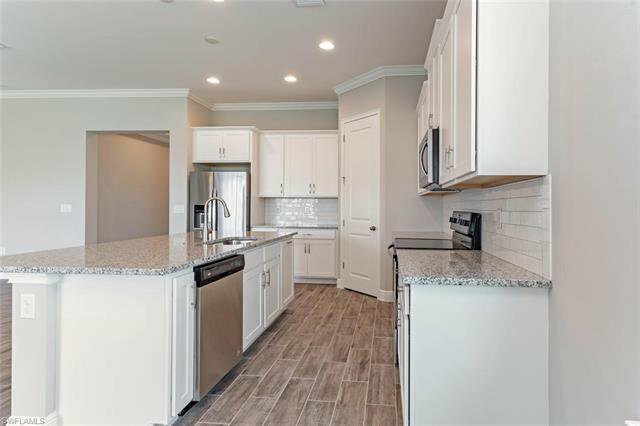 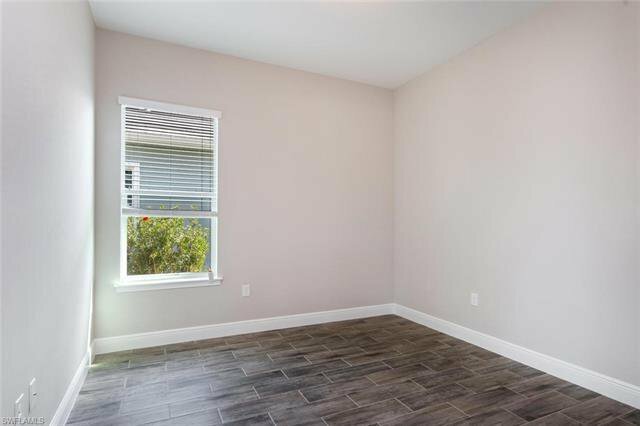 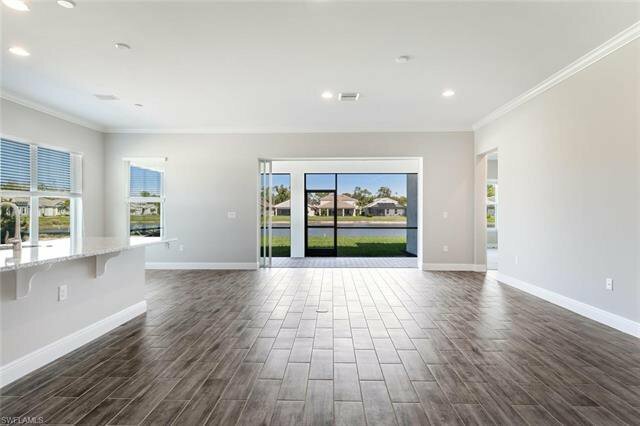 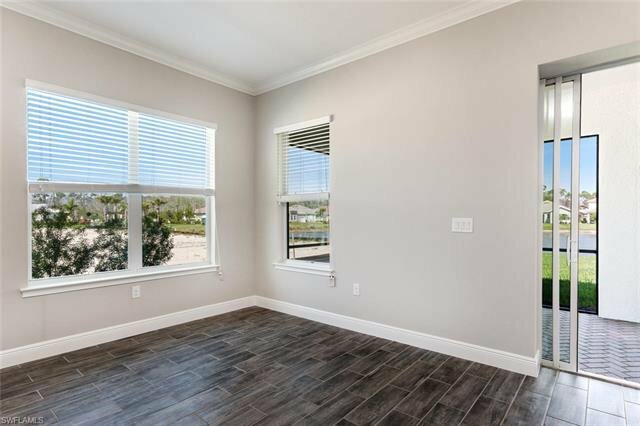 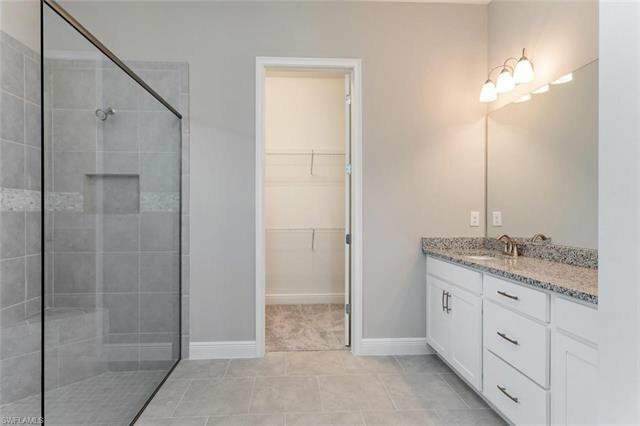 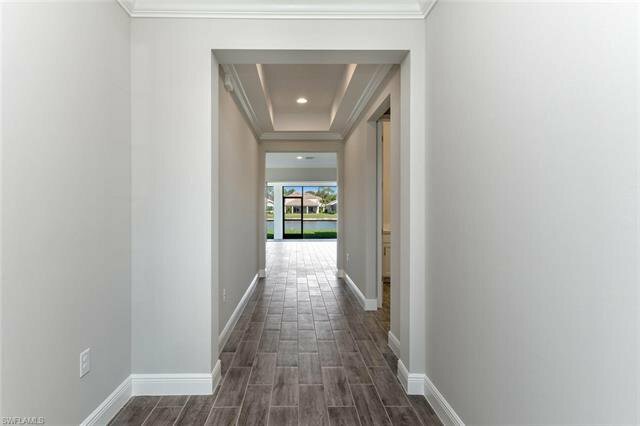 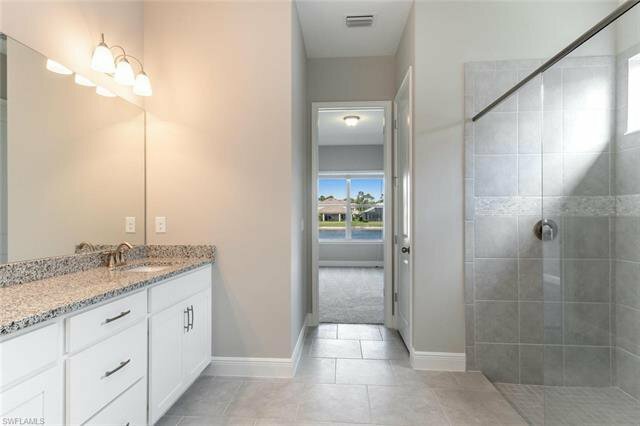 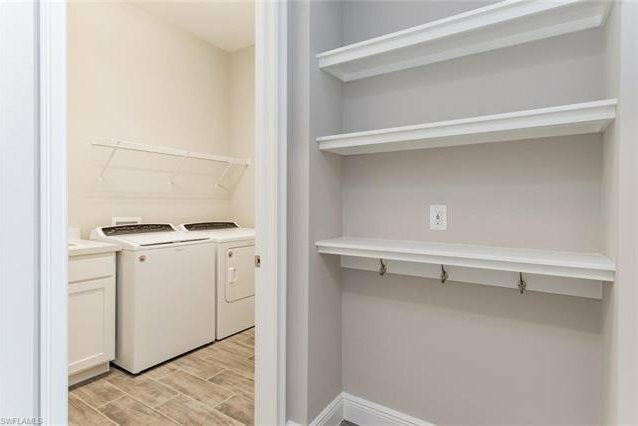 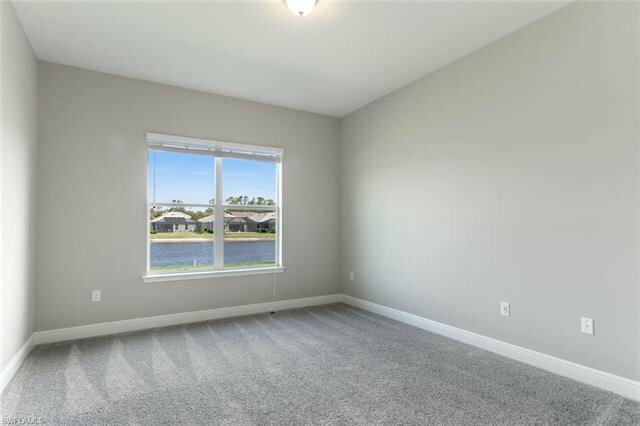 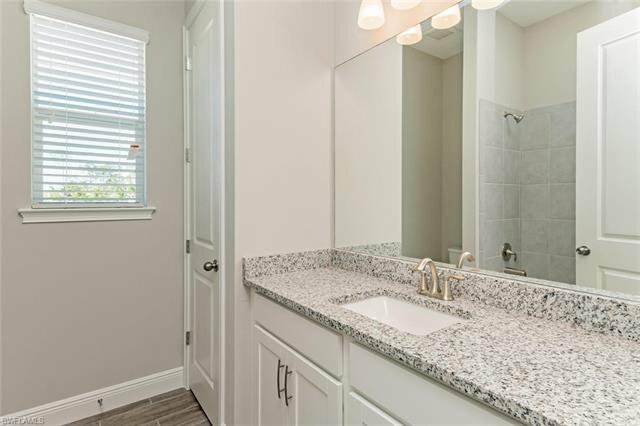 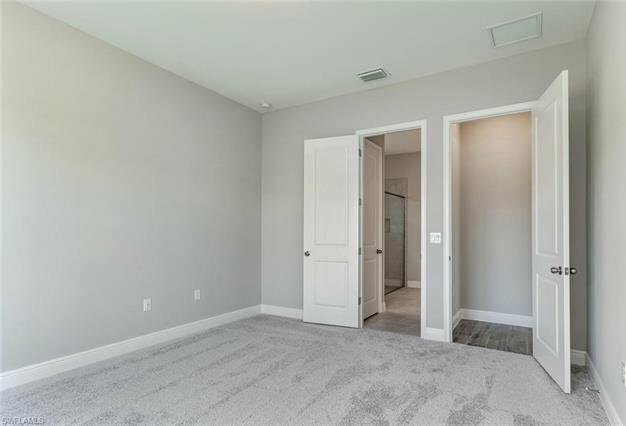 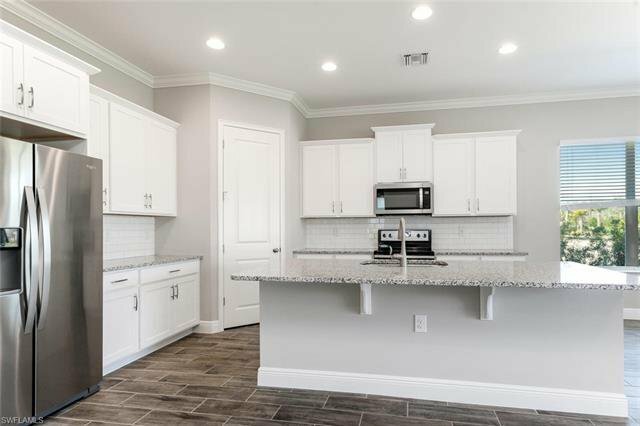 Plank tile throughout the common areas, window blinds and 5¼ inch baseboards throughout the home; an owner’s suite with a walk-in closet; owner’s bath with dual sinks, Granite counter tops and walk-in shower. 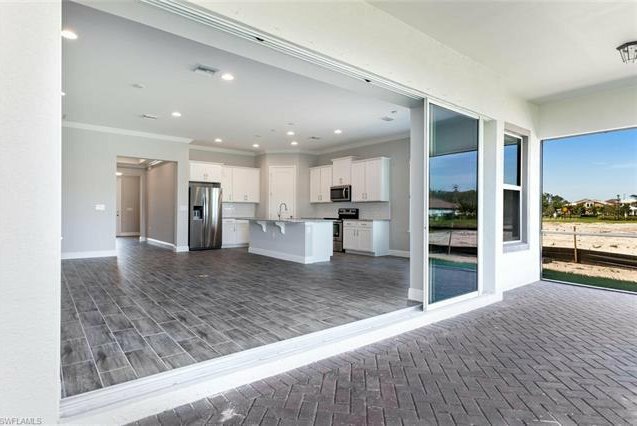 A large screened lanai, oversized yard and room for a pool. 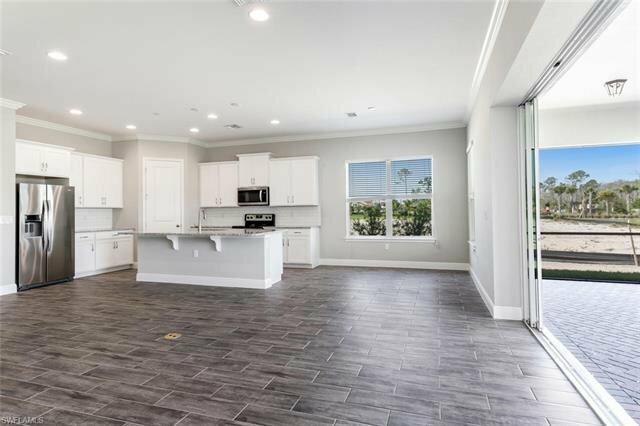 Compass Landing is a private and secluded gated community with DEEP LOTS from 50-60ft wide and 130-180ft long and low association fees! 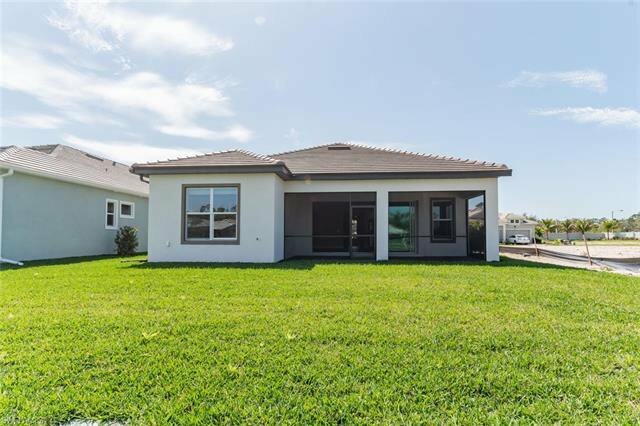 Located in Naples and close to I-75, Mercato, Shops, beaches and zoned with “A” rated Collier County public schools. 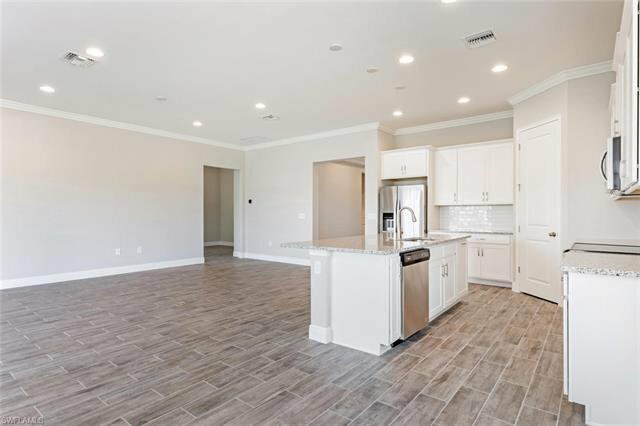 Enjoy a 2,600-sqft amenity center, resort-style pool, clubhouse, tot lot and fitness ctr. 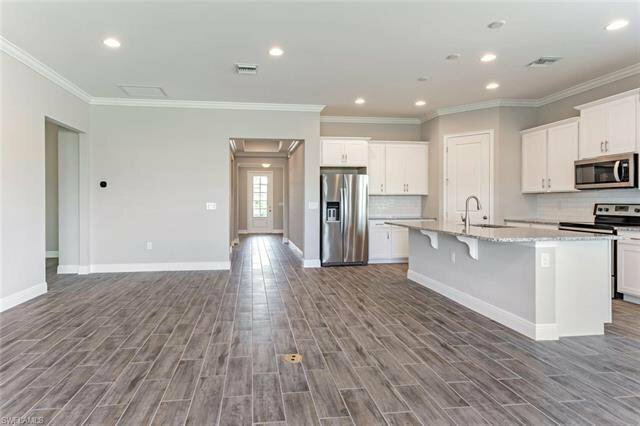 *Note: Photos are not of the actual home, but of a model with similar floor plan.